At a popular travel website, Tripadvisor, a query came regarding a possible journey from Chetumal to Tulum in a rented car. 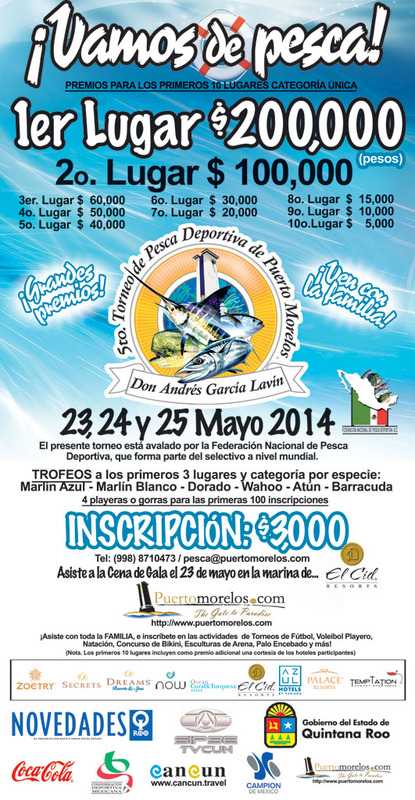 Chetumal is situated on the western side of Chetumal Bay, near the mouth of the Río Hondo. Chetumal is an important port for the region and operates as Mexico’s main trading gateway with the neighboring country of Belize. While Tulum holds the honour of being the most picturesque archaeological site in the Riviera Maya and the only one to have been built overlooking the ocean. Both are very different in nature but shouldn’t be missed. A visit here offers spectacular views of the Riviera Maya beaches, Caribbean Sea and surrounding coastal region. Tulum was an ancient Mayan fortress city that rose to power toward the end of the Classic period. The most iconic of its structures, the Castillo, is perched on the edge of a cliff overlooking the clear turquoise blue waters of the Caribbean. The cliff-top Castillo, with its beachfront location and lush green landscape, is the image most often associated with the Mayan Riviera. You can walk around the expansive walkway which extends till the ruins and then come down the stairs directly to the beach where you can swim and sunbathe. The best way to experience Tulum is to combine a tour of the ruins with some beach time. From Chetumal one can take the bus of the Ado brand. The Chetumal to Tulum buses are frequent in case of second class ride. Don’t worry they are pretty nice to travel. The only thing that bothers is that they stop more often. Rental car choices are very limited in Chetumal because it isn´t really a tourist town. The rentals you do find will be expensive. So don’t put a whole in your pocket to travel from Chetumal to Tulum, just avail any of the bus rides that are available. When at Palladium, there many options which you can explore. Mainly there is Tulum, the historical town and then there is Akumal, the perfect beach and snorkeling getaway. If you and your little ones love their history, they would definitely fall in love with the ruins of Tulum. You can hire a cab from outside the Palladium. If you book a cab from inside the resort, you will not be able to bargain your way to Tulum. You will find the ruins by the highway about 1 km further into town, and the main beach area is 2 km from town with 5 miles of pristine beaches, small hotels and restaurants and beach bars to sooth your nerves. It is quite a fun if you go for the collectivo, but there is a bit of a walk from where the collectivo drops you off. You have to talk the bridge back over the highway and then walk down the street into the town. On the other hand, you may find Tulum to be very hot and boring if not into history and archaeology. Then head towards Akumal Bay in a colectivo or taxi. It’s a very nice place where the kids can enjoy. Akumal has beach, restaurants, shopping in a close area and far lesser hot than Tulum. You can also hire a golf cart tour to Half Moon Bay or Yal-Ku Lagoon. A cab ride from the resort to Akumal should cost you $10. But you will have to bargain a lot but it’s worth it as it is basically the same cost as the collectivo but less walking. Whichever destination you choose to explore from Palladium, make sure to have loads of fun even if you feel tired after walking. Hold hands and start on an interesting journey. Tulum is a three-mile stretch of sand on the Mexican coast, two hours south of Cancun. Once known as the preserve of backpackers and yoga enthusiasts, it now attracts a more chic crowd and bohemian film stars. You can wander along the beach nibbling on local food, waxing surfboards and clicking photographs of one another and the coast. 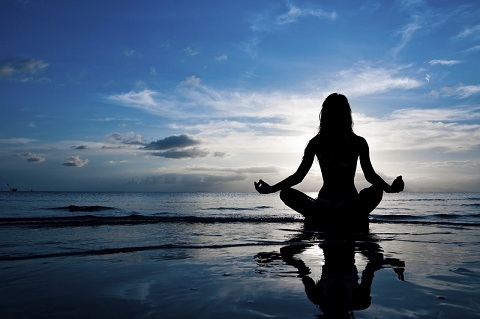 At Tulum you will get a vibe of Goa meeting Jamaica with a few ancient ruins thrown in to up the funky quotient. Tulum’s great vibes got published with Dailymail. 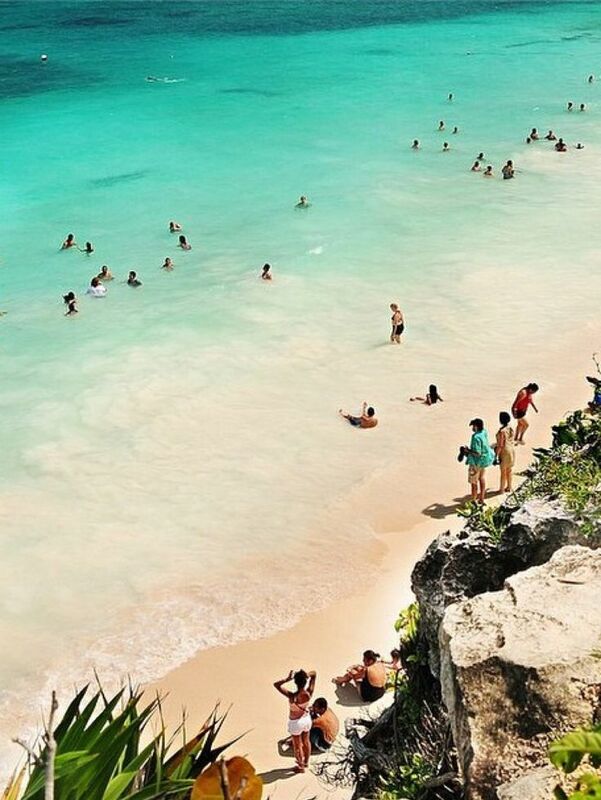 Come, let’s chill at Tulum. Tulum is a much laid back place and is disconnected from the mainland power supply, so no need to pack anything more than a phone charger. Even the food’s not bad, either. If you want to taste authentic Mexican, try the small stalls down the coast. Whopping garlic butter lobsters and octopus with pea puree is staple here; all accompanied by shots of tequila’s younger cousin – mescal. At Tulum, you can stay in boutique hotels or try the Grand Velas north of Tulum on the Riviera Maya. As you approach Grand Velas, it looks like a Roman fort. An array of suites is placed across a large area of jungle right up to the sea. The area is so vast that the hotel runs its own safari car in order to explore the jungle, where you’ll find multiple birdlife to utter enjoyment. When at Tulum, take a drive inland towards the hidden city of Vallodolid, a colonial outpost of Spanish arcades and spas. Here, the Yucatan peninsula was home to the Mayan civilisation, a society highly advanced in art, trade, and temple-building. You can also visit the Coqui Coqui perfumery, near the city centre. It was originally an ancient townhouse where the Franciscan monks who colonised the Yucatan in the 16th century and concocted herbal remedies and perfumes. Coqui Coqui perfumery was set up by Nicolas Malleville and his wife Francesca Bonato. When visiting Coqui Coqui, you can put up at its sister establishment about an hour away in Coba. The hotel overlooks a crocodile-laden lagoon. Coba was once home to 100,000 people and you can find many old structures uncovered, but 6,500 more are thought to be below the surface. We have made several efforts to entertain ourselves but visiting Coba is a unique experience in itself. See for yourself, how nature has created structures for its own entertainment. Cenotes, or sinkholes, are formed from the collapse of limestone bedrock to create wondrous cave lakes. Once you reach the end of the cave, a deep pool will welcome you for a chilling experience. You can also dive in and feel the icy water charging all your sensation right from head to toe. It’s an electric grand finale to a thrilling Mexican adventure at Tulum. Visit Tulum to be a part of ancient Mayan ruins, gulp multiple shots of mescal, and refresh in the surrounding at Cenotes. Mexico’s Tulum coast is an out and out stylish, funky and wonderfully wacky destination. Every year thousands of people visit cenotes in Tulum for a unique experience of exploring the underground caves filled with water. Cenote diving In Tulum an surreal experience which ups your heart rate and also get you in touch with the various mysteries inhabiting in this part of the world. These cenotes are not just caves but also holds a very important place in the culture of Mayan who believe that the rain god, Chaak lives in these caves. Those visiting or living in Tulum should definitely take advantage of this natural wonder. 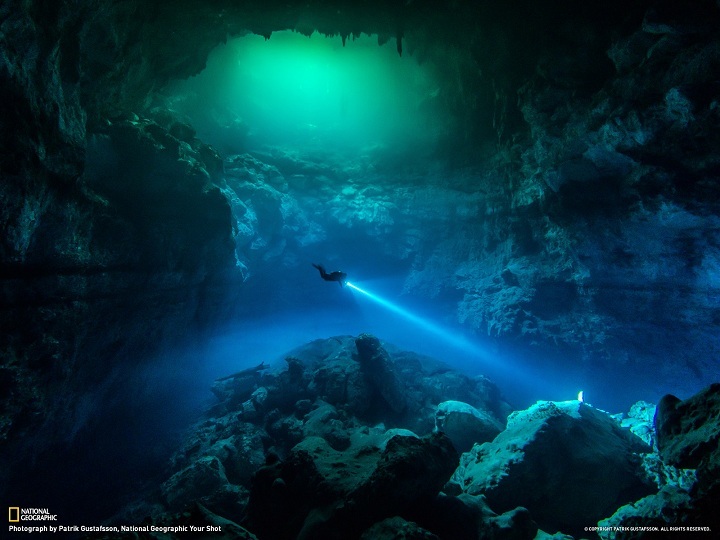 National Geographic published a breathtaking photo of one such cenote.